Study Bachelor of Laboratory Medicine (Honours) at the University of South Australia (UniSA). Information for International students. Gain the skills and knowledge needed to work as a Medical Laboratory Scientist in diagnostic pathology or research. Choose to complete a research course or an extra clinical placement, depending on your interests. Use this qualification as a pathway to further learning, including Masters by Research and doctoral studies. Studying the only degree in SA accredited by the Australian Institute of Medical Scientists (AIMS) will see you graduate with the knowledge and skills to enter the exciting world of diagnostic pathology, or research. Your work having a vital bearing on the welfare of patients, supporting clinicians in the diagnosis, management and treatment of disease, conducting research into causes and cures of disease, and developing improved methods for disease detection. You will gain practical experience in our on-campus laboratories, and have the opportunity to practice these skills in real-world clinical settings when you complete industry experience across your third and fourth years. Students can undertake clinical placement in public and private pathology in metropolitan and regional locations, as well as veterinary, forensic science and translational research laboratories. Students may additionally qualify to participate in overseas study tours to gain insights to diagnostic pathology and medical research in countries such as Myanmar. The honours component of this degree focuses higher level studies which includes research training, which will see you complete research preparation and project courses in your fourth year. This honours degree prepares you for a career in all areas of pathology, with training in biochemistry, microbiology, immunology, molecular pathology, haematology and histopathology. sciences, and during the third and fourth years you will strengthen your knowledge through clinical courses and practical experience. You will learn the theory and develop the skills required to perform a range of diagnostic tests including cross-matching for blood transfusions, identifying the organisms that cause infections and food poisoning, screening for cancer cells and detecting genes responsible for disease conditions. You will also learn how to examine blood for any changes in its composition or function, and monitor levels of blood chemicals including sugar, electrolytes, pH, metabolites, toxins, drugs, hormones and proteins. During the final two years you will embark on a valuable field placement – this placement is pivotal to your learning and will comprise of either 13 or 26 weeks of real-world experience in a clinical setting. This field placement can be completed in South Australia, interstate or overseas and will be offered in 13-week blocks. If you undertake the research course you will complete 13 weeks of clinical placement; if you undertake the Advanced Clinical Placement you will complete 26 weeks of clinical placement. You will work as part of the laboratory team, learning how to manage specimens, perform tests and operate equipment. You will also be required to complete supervised scientific research during your final year. This research will be conducted in our on-campus laboratory or at external laboratories. 2. Students must meet the vaccination requirements for health professionals prior to commencing clinical placement. Failure to meet vaccination requirements will limit placement opportunities. 3. Students are required to satisfy the standard of dress and behaviour prescribed by institutions in which clinical placements are undertaken. Failure to satisfy such obligations may prevent them from fulfilling the requirements for completion of the program. 4. Students may only enrol in the following SP5 courses if they have previously completed (and attempted all assessment components) in the corresponding SP2 course(s), viz: CHEM 1007 Chemistry 101 - CHEM 1006 Chemistry 100; BIOL 1012 Molecules to Tissues B - BIOL 1007 Molecules to Tissues A; BIOL 2037 Immunology - BIOL 2035 Physiology; BIOL 2016 Genetics - BIOL 2014 Biochemistry; MEDI 2003 Pathophysiology - BIOL 2035 Physiology AND BIOL 2036 Histology; MEDI 2005 Essential Haematology - BIOL 2014 Biochemistry AND BIOL 2035 Physiology. 5. Failure to satisfy the requirements of Rules 1-4 above may prevent students from meeting course and program requirements and hence the completion of the program. 1. This course can only be undertaken full time. Students may be required to enrol in this course in SP1. 2. Students are required to undertake this course in an approved pathology laboratory. Students may be required to undertake Clinical Practice in a regional laboratory. Placement outside South Australia may be allowed. 3. Students who are employed in an appropriate laboratory setting may be granted full credit in MEDI 3006 Clinical Practice A, MEDI 3007 Clinical Practice B, MEDI 4002 Advanced Practice A and MEDI 4003 Advanced Practice B. 4. Students granted full credit in MEDI 3006 Clinical Practice A, MEDI 3007 Clinical Practice B, MEDI 4002 Advanced Practice A and MEDI 4003 Advanced Practice B, and who successfully complete courses in Study Period 2, third year are permitted to enrol in the corresponding fourth year, Study Period 5 courses (i.e. they are exempt from the requirements to complete all third year Study Period 2 courses before enrolling in any fourth year Study Period 5 courses), viz: MEDI 3003 Infectious Diseases - MEDI 4006 Specialised Microbiology; BIOL 3006 Molecular Pathology - MEDI 4001 Clinical Biochemistry; MEDI 3002 Histotechnology - MEDI 4005 Histopathology and Cytopathology; MEDI 3012 Transfusion and Haemostasis - MEDI 4004 Advanced Haematology. This degree is the only one of its kind in South Australia that is accredited by the Australian Institute of Medical Scientists (AIMS). You will gain real industry experience in a clinical setting, and will benefit from our state-of-the-art on-campus facilities, including specialised laboratories. 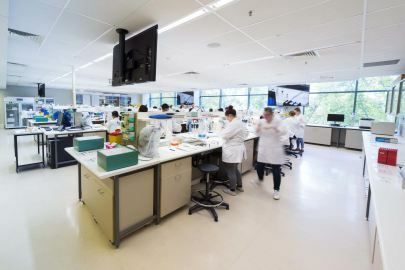 Some students may also complete research projects in the new $247m UniSA Cancer Research Institute. Practical field placements are a great opportunity for you to begin to build your network of industry contacts – in fact, some of our students actually secure employment before they graduate as a result of the industry relationships built during this time. You will also work alongside experienced researchers when you complete research preparation and project courses during your final year. This affiliation will provide you with exceptional learning and networking opportunities. As a Medical Laboratory Scientist, you will support clinicians in the diagnosis, management and treatment of disease, to conduct research into the causes and cures for disease, and to develop improved tests for disease detection. You may also recommend possible treatments, monitor dosage and effects, as well as track the progress of patients. You should be inquisitive and have an analytical mind, and you will need to have the ability to absorb, connect and integrate information from various sources. 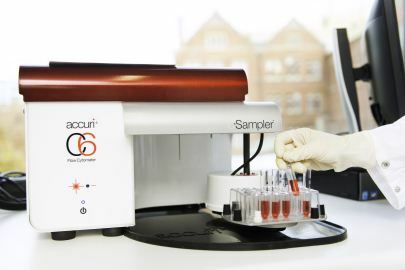 Medical Laboratory Scientists use a range of intricate and sophisticated equipment, so a certain amount of manual dexterity is needed to conduct laboratory work effectively. As an honours students you may also choose to pursue a career in research - graduates with honours degrees are highly sought after by prospective employers, particularly within academia and research settings. The program is fully accredited by the Australian Institute of Medical Scientists (AIMS), and graduates are entitled to Graduate Membership of the Australian Institute of Medical Scientists. Graduates are eligible for membership of the Australasian Association of Clinical Biochemists (AACB). Graduates are eligible for membership of the Australian Society for Microbiology (ASM). I have twenty years’ experience in diagnostic haematology and research laboratories, and I work closely with industry to coordinate clinical placement for students. I teach haematology and transfusion medicine within the Laboratory Medicine degree and conduct research in the field of haemostasis. I really enjoy being a part of producing the medical scientists of the future.